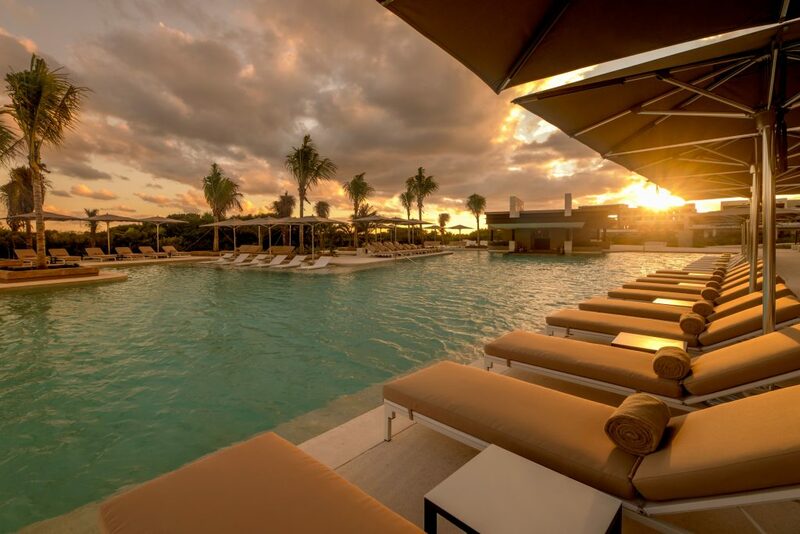 ATELIER Playa Mujeres is an Luxury All-Inclusive 5+ Star Resort for Adults and guests over 16 years, offering a fantastic concept inspired by the Art and Design of Contemporary Mexico. 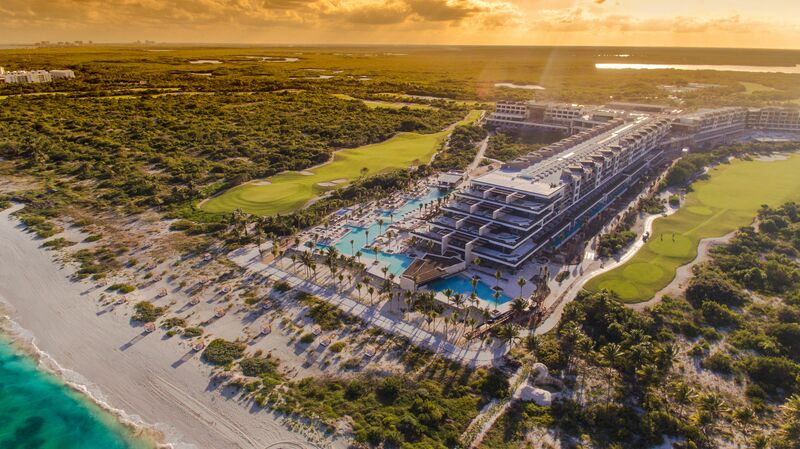 Its innovative atmosphere blends harmoniously with the mesmerizing natural landscape of Playa Mujeres, set between the crystalline waters of the Caribbean and a magnificent golf course. 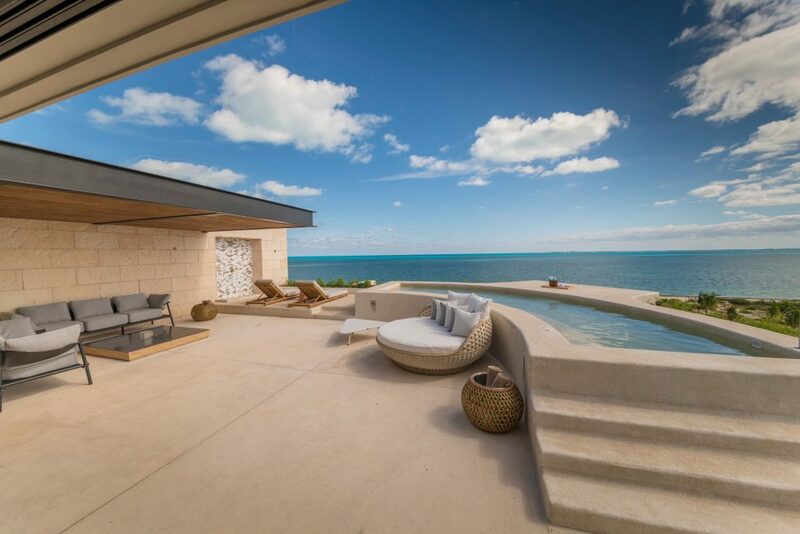 The 431 suites feature a dazzling design with marble and wood accents, luxurious amenities, as well as avant-garde style furniture, complemented with jaw-dropping views of the Greg Norman golf course and the Caribbean Sea. Atelier Playa Mujeres is for adults ages 16 and up only, and Estudio Mujeres is a family-friendly establishment. At Atelier de Hoteles properties, technology is also a big feature. Guests can download the free app that will give them access to everything in the hotel, such as room activities, hotel happenings, TV channels, restaurant reservations and more. The innovative all-inclusive plan at Atelier Playa Mujeres also immerses guests in fascinating Mexican art and the stunning natural beauty of the Caribbean. The resort’s INSPIRA Suites allow for a personalized stay via world-class services such as a welcome letter and amenity from the general manager, concierge, tablet on-demand, a welcome cocktail and much more. The iconic flavors of Mexico and the world are gathered in six playa mujeres restaurants with a surrounding gastronomic proposal, creating an intense tour of aromas and textures, in spaces inspired by Mexican and international traditions. Six restaurants, including María Dolores for seven-course tasting menus, Takeshi for Asian cuisine, and El Trompo by the pool for snacks and tacos. 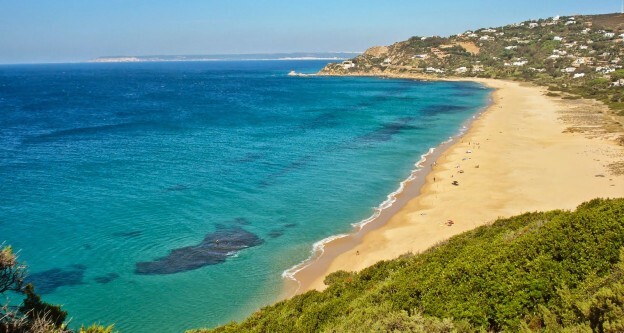 Estudio’s restaurants will include a buffet at El Consentido, upscale Italian at Cala di Luna, and Japanese at Kobai. Guests at both resorts can access an 18-hole golf course and the on-property Nuup Spa for treatments inspired by the healing power of water and traditional, local techniques.